Congratulations to our 2018/19 Emerging Artists! Over the next 12 months each artist will receive a range of mentoring, business and marketing advice, PR material development, and performance and networking opportunities, all tailored to their specific requirements. Now in its third year, the Emerging Artist Programme helps musicians make the next step in their career giving support to areas / projects that need developed. You can keep up to date with progress via our social media channels. Belfast born singer Pete Devlin creates music that is dark and beautiful. His honest and sincere approach creates a sound that is dense, intricate, and often full of wit. His dark croon style helps deliver these honest-inside-playful ideas, with intricate phrasing and structures. Over the next year Pete will be developing new works and ideas culminating in an LP release, along with mentoring and collaborative work. Derry musician Porphyry creates music that leans toward electronica and folk. Melding old with new, Daryl’s music has a cinematic quality and a strong connection to visual art. Over the next year Daryl will be working towards an album release, looking at the business side of the industry to help find a place for his work, as well as mentoring and collaborations throughout. Fears is Dublin born musician and producer Constance Keane. By combining reflective electronics, acoustic samples, and haunting vocals she invites the listener into an ethereal journey, which blurs the boundaries between music and visual art. Over the next year Constance will be working towards an album release, video work, mentoring, along with collaborative opportunities. We’re looking forward to working with you all! 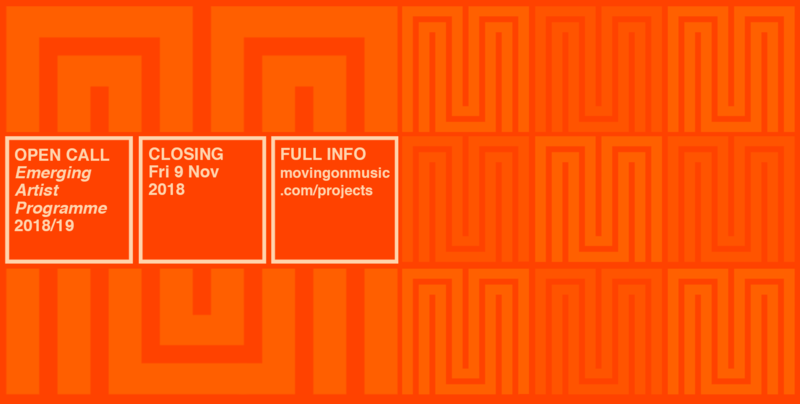 Applications are now open for the third edition of Moving On Music’s ‘Emerging Artist Programme’ kindly supported by The Esmée Fairbairn Foundation. We are delighted to announce the next group of artists selected to take part in the second year of our Emerging Artist Programme, kindly supported by The Esmée Fairbairn Foundation. Moving On Music’s ‘Emerging Artist Programme’ is now open for applications for the second year of the programme, kindly supported by The Esmée Fairbairn Foundation. 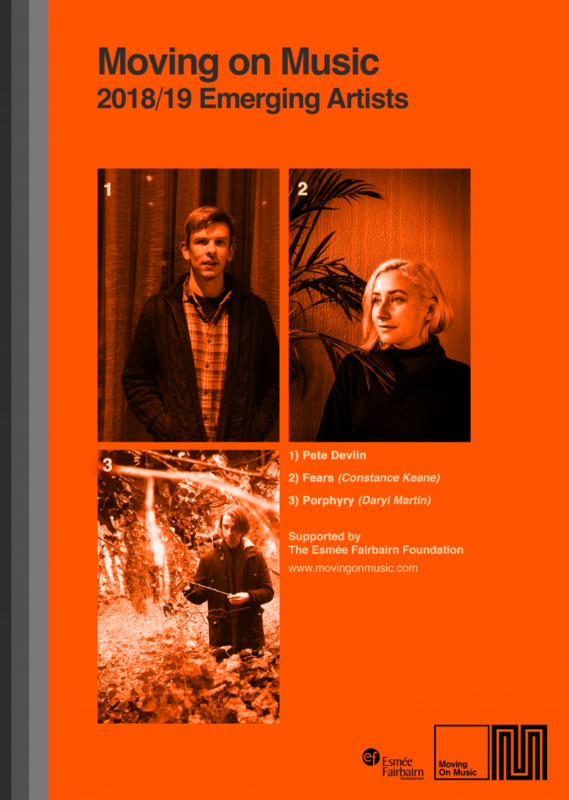 Moving On Music (MOM) is delighted to announce the 4 artists selected to take part in our first ever Emerging Artist Programme, kindly supported by The Esmée Fairbairn Foundation.